Dance On Us already has many independent, talented instructors and dance academies running a variety of dance and fitness classes at our premises. 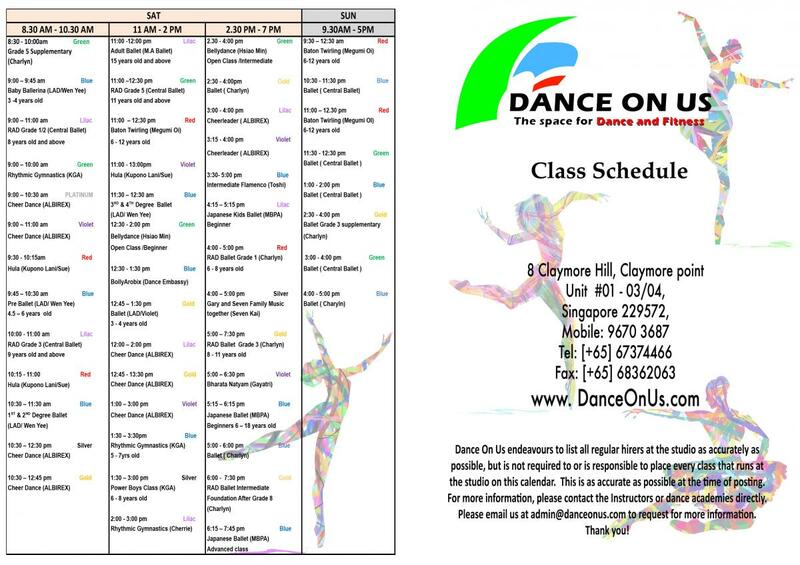 Please note that Dance On Us DOES NOT MANAGE any of the classes. To get details on the classes, please contact the Instructor or respective school directly. 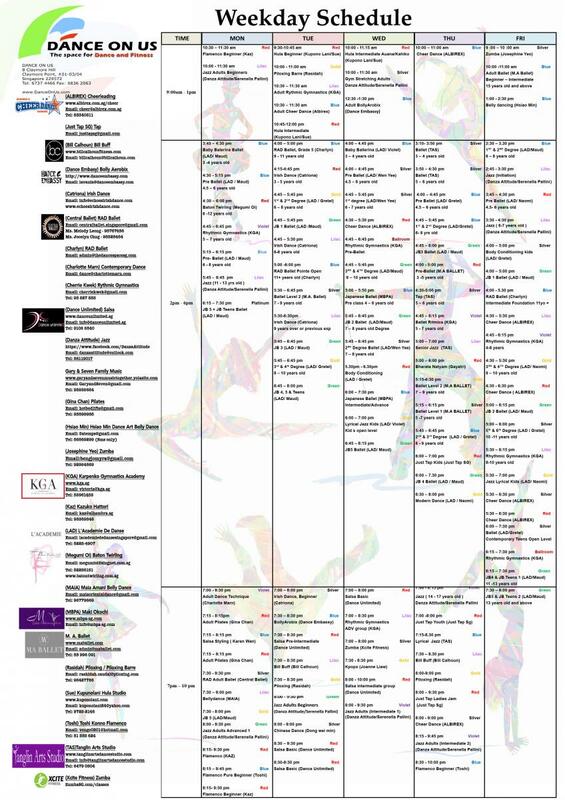 Take a look at the monthly class schedule to have an idea what classes are available. If you are interested in any of the classes, you may either contact the instructor/dance academy directly (please refer to Members' Classes for contact details). Alternatively, if the required contact information is not available, just send an e-mail to enquiries@danceonus.com and we will forward it to the specified class/instructor! Download this month's class schedule - Class Schedule @ Claymore, For information on our Affiliated(*) Instructors and their week day classes, click here for weekend classes click here.